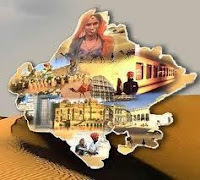 Rajasthan GK Question in Hindi Sample Paper 133: Rajasthan General Knowledge Sample Question Paper with Collection 10 Question of Rajasthan GK Questions for RAS, Rajasthan Police, REET, SI, Contable, Patwari and other state exams under GK Quiz in PDF @ Rajasthan GK Sample Papers. Rajasthan General Knowledge (GK) and General Studies (GS) Questions from various examinations of Rajasthan Govt. and central Govt Examinations. Q.2832 विश्व में No.1 बनने वाली पहली भारतीय बैडमिंटन महिला खिलाड़ी कौन है? Q.2833 निम्न में से कौन पहले बिना उपराष्ट्रपति रहे भारत के राष्ट्रपति बने? Q.2834 क्रिकेट विश्व कप 2015 किसने जीता है ? Q.2835 भारत के उपराष्ट्रपति को कौन निकाल सकता है? Q.2836 राजस्थानी में "फेवन" शब्द का सम्बन्ध है ? Q.2837 ब्लू पाटरी के लिए प्रसिद्ध है ? Q.2838 Which schedule was added by the First Ammendment to the constitution in 1951? Q.2839 राष्ट्रीय आप्टिकल फाइबर नेटवर्क के अंतर्गत ढाई लाख ग्राम पंचायतों को ब्राडबैंड से जोड़ने में किसका कोई योगदान नहीं हैं ? Q.2840 Sultan Azlan Muhibbuddin Shah, who passed away recently is known for his immense contribution towards which among the following sports?